Meet Dewey Whitton & Harold Ware face-to-face and ask them questions directly. Ask Dewey how she transformed her personal, professional and financial life by learning a revolutionary new way of winning listings, buyers and building a multi-million-dollar business. Ask Harold how this new paradigm-shift business model for Realtors will disrupt the entire industry and create new wealth for agents ready to run their business like a business. Dewey Whitton case history: Learn how Dewey went from earning $100,000 a year to earning more than $1,400,000 a year and on track to earn $2 million a year in gross commission income by implementing the ultimate “Work Smarter, Not Harder” Lifetime Value Business Model. While most agents are on the transaction treadmill, Dewey is earning up to 26x the initial transaction commission by understanding how to leverage lifetime value. Learn the #1 secret of how Dewey went from earning $50 per hour ($100,000 per year) to more than $760 per hour ($1,400,000 per year with six weeks’ vacation time). That’s a 1,520% increase in income per hour. In fact, Dewey routinely earns more than $100,000 per month- with many months reaching $130,000 or $150,000 and even up to $200,000 in gross commission income. Every time you do a task that you could delegate for $20-$50 per hour, you’re costing yourself about $720 – $740 per hour in lost income (opportunity cost)! Discover the miraculous business formula Millionaire Agents use to increase their income by 400% or more, work one-quarter the hours and deliver 4X the consumer value to buyers and sellers. Sound impossible? It’s not, when you see the formula you’ll be amazed at how much easier it is to succeed, rather than struggle, when you work smarter, not harder! Discover the top three reasons that traditional real estate teams are costing the team leader/principal agent millions in lost income and the ability to sell their business for millions. Traditional real estate teams have become popular because they do help leverage time. However, there is a revolutionary, new team model (the Principal Agent Model) that will make traditional team models a thing of the past. 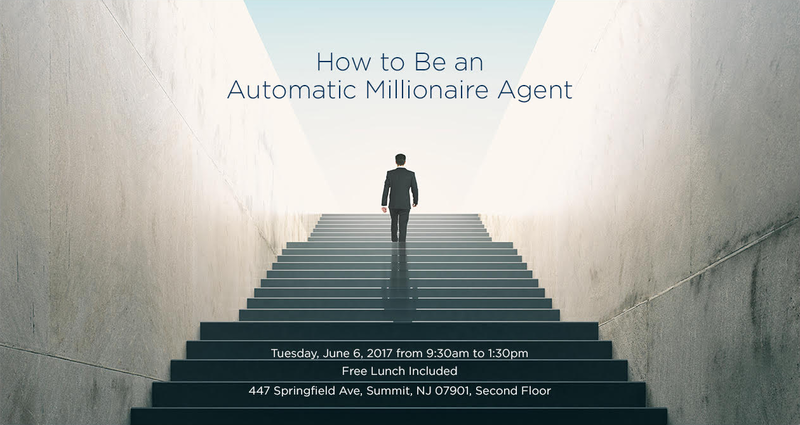 Learn why the solo agent model is destined to become mostly extinct and why this is a great opportunity for agents who want to raise the bar of excellence and earn more income working fewer hours. Discover how the revolutionary Team of Experts model will leverage your time and elevate the perceived value of Realtors in the eyes of the consumer. Finally, you can be in business for yourself, but not by yourself! Learn how to stop wasting your precious time by replacing low quality Internet leads that close at about 2% with an endless stream of high quality leads that close at 90% or better. That’s a 45x or 4,500% increase in closing efficiency. Can you imagine earning $1+ million a year without spending a dime on external advertising? Discover how to solve the one missing link that prevents 99.5% of agents from generating more quality leads than they can handle – once Dewey learned this secret her income increased by more than $500,000 annually within 2 years and her listings skyrocketed. Dewey often wins 2 or more listings per day! Discover how Dewey instantly differentiates herself professionally herself from all other top listing agents and why she has won over 221 listings just in the last few years! Learn the top 5 lead generation strategies to build your own perpetual lead generation machine. Discover the 7 most important lead management strategies to dramatically increase your lead to appointment ratio and your appointment to sale ratio. Dewey used this system to increase her sales conversion ratio by more than 30%. Learn why Realtors severely limit their income with the “Transaction Treadmill” business model. This is where agents think that just trying to sell more transactions will lead to perpetually increasing income. The truth is that most agents reach a “glass ceiling” or “income plateau” and struggle to find ways to truly break-through and exponentially increase their income. Discover how to get off the transaction treadmill and unlock your true potential for more income while you enjoy a better work/life balance.